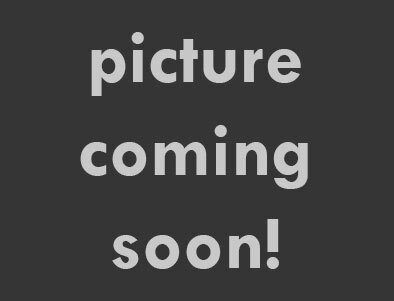 Ground chicken, clear noodles & mixed vegetables served wit plum sauce. 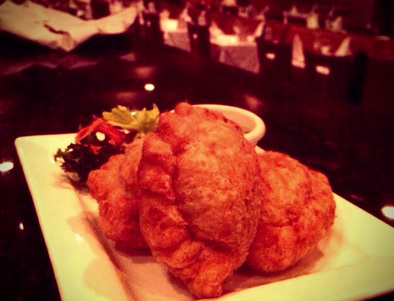 Thai pastry stuffed with ground chicken, potatoes, onion and curry powder served with cucumber sauce. 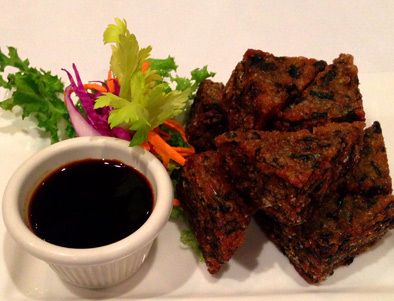 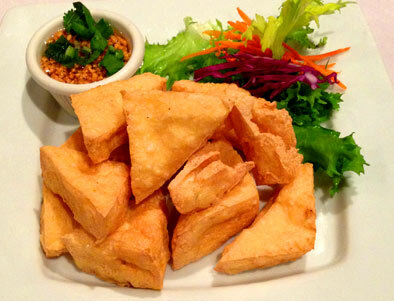 Deep – fried crispy bean curd served with thai peanut sauce. 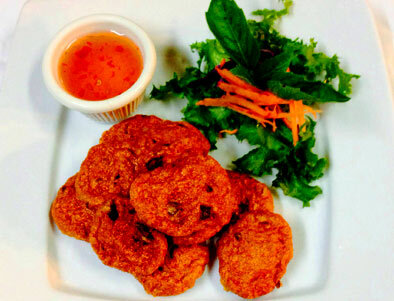 Dumplings stuffed with vegetables served with dumpling sauce. 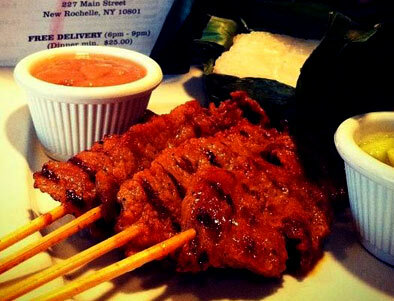 Marinated beef or chicken, skewered and barbequed served with peanut sauce and cucumber salad. 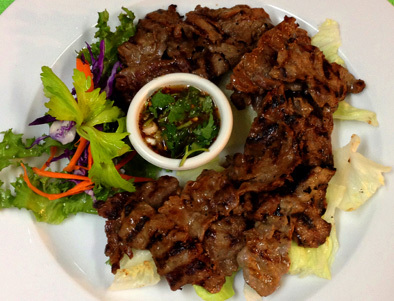 Choice of marinated meat, fried and served with spicy sauce. 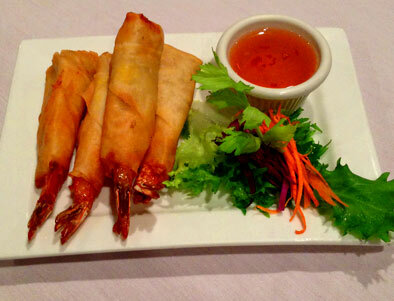 Jumbo shrimp stuffed with ground chicken wrapped in spring roll, deep – fried and served with sweet chili sauce. 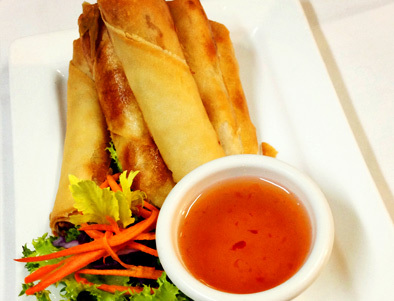 Fried rolls of crabmeat, shrimp, and pork with pepper and garlic served with plum sauce. 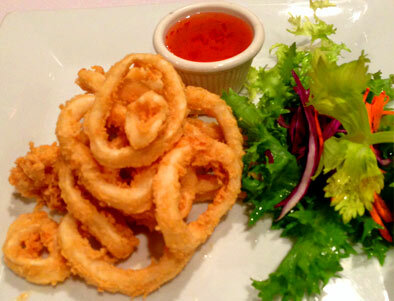 Deep – fried squid, thai style. 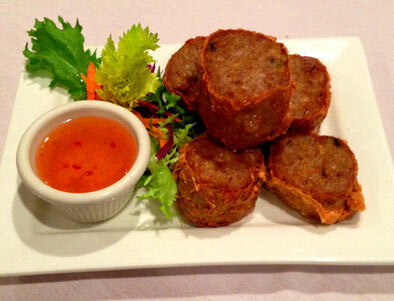 Dumpling skin stuffed with ground chicken or pork served with dumpling sauce.